Winstrup Hostel is an independent hostel, first opened in April 2014. Everyone past or currently involved with the hostel are seasoned travellers. Personally, I have had more than 150 travel days per year, collected more than 1 000 flying hours (mainly in tourist class) and visited more than 80 countries. Our vision is to provide a hostel where it is easy to come and go, no cumbersome check-in or check-out procedure, clean, fresh and functional for a reasonable cost right in the city centre of Lund. I hope you will find yourself at home. 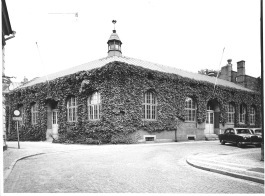 “the power plant was built in 1907 to provide the citizens of Lund with electric light. 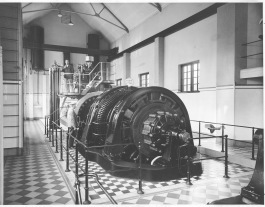 Diesel engines and direct current (DC) generators was used to generate electricity. A few years later the local power company started to distribute three phase alternating current (AC) and the local power generation ceased. 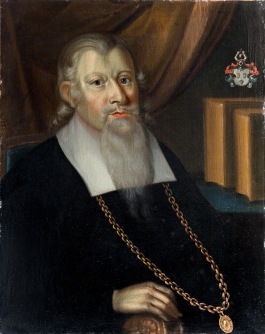 Peder Winstrup (1605–1679) was the last Danish bishop in Lund, and the first Swedish. His background was impressive; theology doctor, professor of physics and philosophy, court chaplain to the Danish king, pioneer in the field of printing books, architect and manufacturer of paper. In 1658, in conjunction with the Swedish army’s conquest of Scania, king Karl X Gustaf visited the Danish bishop Peder Winstrup in Lund. The bishop took the opportunity to convince the king of the benefits of starting a university in the city. The idea was accepted and Winstrup was knighted shortly afterwards. Eight years later the Lund University was established. Peder Winstrup was bishop in Lund during 41 years.